Losing weight in a wheelchair is done through diet and exercise. While it seems like a daunting task for wheelchair-users in comparison to others, it is possible. It’s a simple matter of willpower and determination. Many wheelchair-users found that the best way to begin to lose weight was making dietary changes. Exercise is another great outlet and is strongly encouraged after consulting with your primary physician. Losing weight should not be intimidating, finding support with friends and family is a great way to encourage and maintain weight loss. 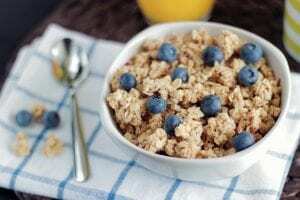 Diets in themselves already are shrouded in an atmosphere of dread, but changing one’s eating habits does not mean cutting down your food intake. On the contrary, one should be eating 5 times a day, but make healthier choices. One challenge for wheelchair users is gauging how many calories they intake. Opt out of heavy dressings, melty cheeses, and ample amounts of bread. Replace junk food with fruits and vegetables and start enjoying more starchy foods like pasta and whole grain bread. Drinking plenty of water is key to any weight loss routine. Water keeps you hydrated and makes you feel full. Have fun with your water by adding lemon wedges and fruits, you can find plenty of infused water ideas. In terms of exercise, there are many options and resources available for people in wheelchairs. Always consult with your doctor before embarking on a new exercise routine. If you are able to, aim for regular cardiovascular activity and muscle strengthening exercise. Cardiovascular activity includes a variety of exercises. For instance, CrossFit and Zumba are a good workout wheelchair-users focusing on upper body strength and movements. Swimming is also a good option if able to. If gyms are of interest, there are many that have a good range of options for wheelchair users such as rowing and weight machines. Call your local gyms and see what are their options for wheelchair accessible equipment. Weight loss is best when done with others. 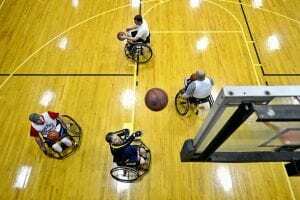 Join a wheelchair sport such as basketball, netball, or badminton. There are also social media groups where you can meet others with similar lifestyle goals who can encourage you and join you. Ask your doctor if there is a community weight management service near you. These services again help you with diet and exercise catered to wheelchair-users. The important thing to remember when trying to lose weight in a wheelchair is to keep going. 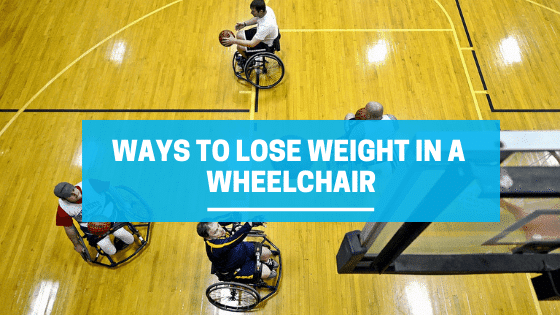 As noted above, there are many options when it comes to losing weight in a wheelchair, but results only begin to show when you pick a routine and stick with it. Keep your doctor informed and always consult with them when making lifestyle changes like diet and exercise. They are also a great resource to keep. Weight loss even in a wheelchair is beneficial for your physical health but your emotional well being as well. Use this information as a starting guide to weight loss journey and continue further research. Can People in Wheelchairs Travel?